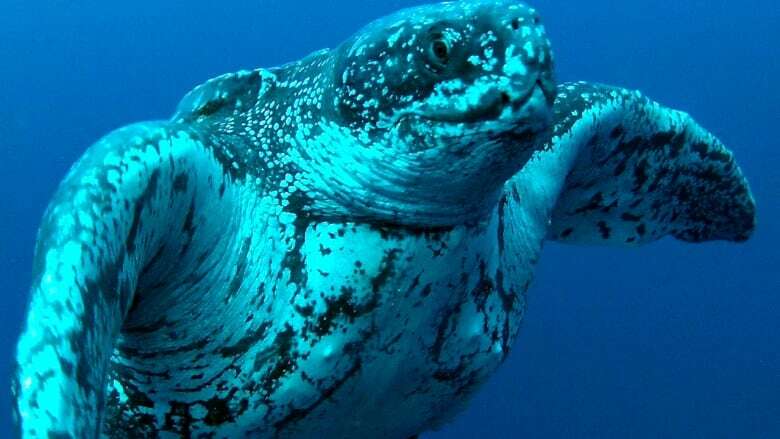 A distinguished sea turtle whose global travels deepened scientists’ understanding of leatherback biology has died, say federal fisheries officials. Red Rockette was first tagged off Nova Scotia in 2012, and since then her travels to and from a Colombia beach have offered scientists in both countries a previously unseen look into her species’ movements and nesting patterns — a hefty scientific contribution that few individual animals can claim. Researchers were “saddened to confirm” Tuesday that an adult female sea turtle found near Digby, N.S., in August was, in fact, Red Rockette, though the cause of death remains undetermined. She was believed to be “a couple decades old,” with a shell length of approximately 1½ metres. In 2013, the Canadian research team watching Red Rockette’s movements contacted a group of Colombian researchers, who encountered the turtle when she came ashore to nest on Bobalito beach in 2013. The data recovered from her satellite tag shed new light on the turtle’s diving patterns and habitat use. Against all odds, she was discovered again by scientists in Canadian waters off Cape Breton Island in 2014 — then again on Bobalito beach in 2016. Mike James, a federal sea turtle biologist, said while the end of Red Rockette’s “remarkable” story is a sad one, her frequent sightings made her a fan favourite with scientists and the public alike, in a field where many tagged animals are never seen again. “She was kind of a star,” James recalled fondly. 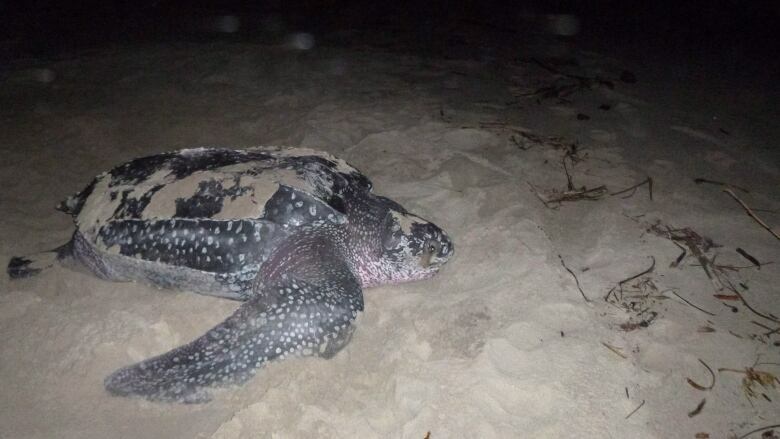 Rare endangered leatherback sea turtles spotted off P.E.I. James said stories like Red Rockette’s are especially resonant with the public. People were able to follow her travels through blog posts by the Canadian Sea Turtle Network. Most Canadians aren’t aware that the endangered animals spend a significant amount of time feeding on jellyfish in Canadian waters, a perception the online tracking of iconic individuals like Red Rockette is starting to change. Kathleen Martin of the Canadian Sea Turtle Network said her heart sank when she learned the identity of the turtle found on a secluded Nova Scotia beach this summer. The loss of an animal with so many connections around the world puts the decline of endangered species into stark perspective beyond just data and trends, Martin said. James said a common cause of death for leatherbacks in Canadian waters is entanglement in fishing gear, and sometimes being struck by vessels. Red Rockette herself had a hook in her shoulder when James’s team encountered her in 2014. Whatever the cause of Rockette’s death, Martin said it was “extraordinary” that her body was found, even if her death signifies a mysterious ending for the unlikely story of a creature who kept coming back to the same places and people. “The Atlantic Ocean is so big that this chance is incredibly rare, so it was a really hard one,” Martin said. Martin said her story is an example of successful international collaboration on environmental work that touches the lives of people across continents. “We were strangers and we became instantly connected friends and co-workers and colleagues trying to solve something together,” said Martin.